Do you want to add nominee for your SBI saving account? If yes, then no need to visit Bank you can register nominee for your SBI account online. 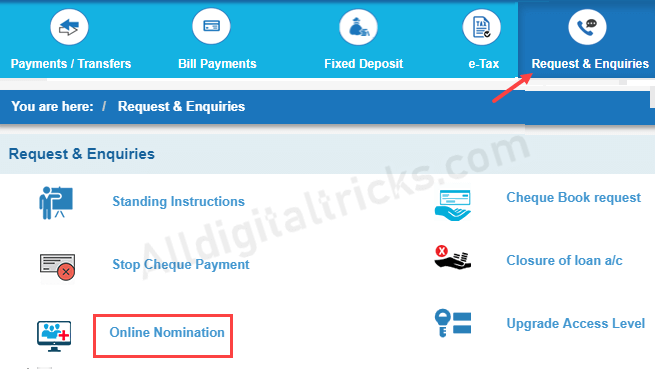 Add Nomination in SBI account now available on SBI net banking and mobile banking. 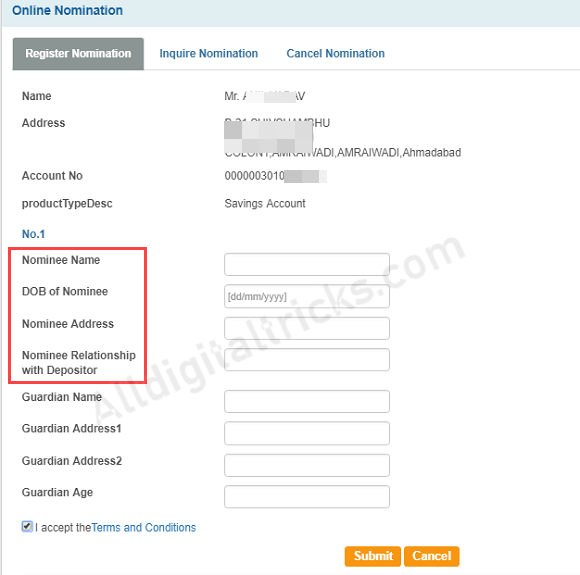 What is Nomination in Bank Account? Banks ask their account holders to make nominations which mean that they should nominate persons to whom the money lying in their accounts should go in the event of their death. Nomination can be made in account opening form itself or on a separate form indicating the name and address of the nominee. The account holders can change the nomination any time. 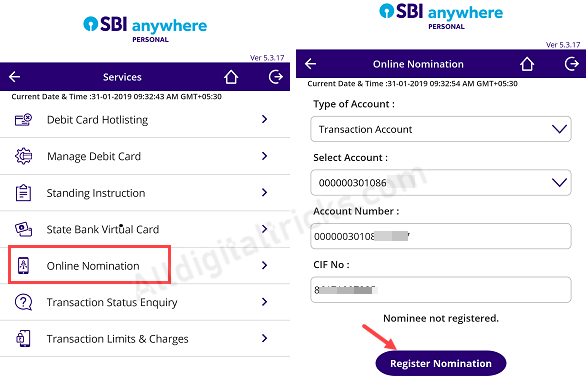 If you are SBI customer and want to register nomination for your saving account then follow below online facility and add your close relative as a nominee for your account. SBI customers can log in to SBI anywhere Mobile Banking App and register nominee very easily. 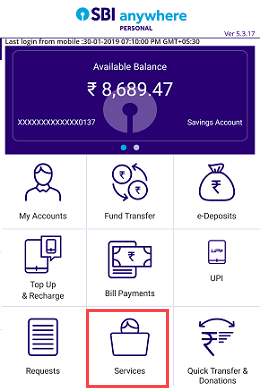 Login to SBI Anywhere Mobile Banking and tap on Services. Next screen tap on Online Nomination. 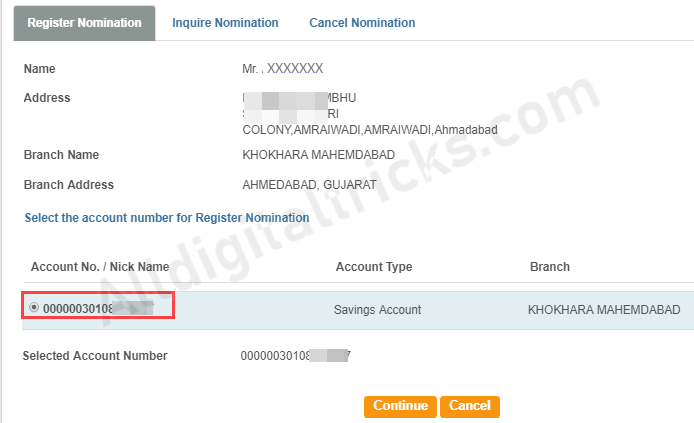 Now select your Account number and tap on Register Nomination. 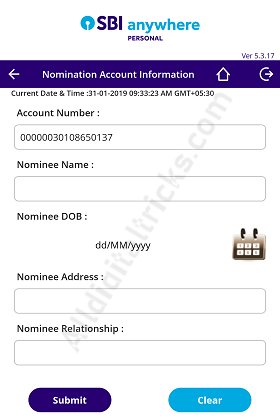 And next screen, enter nominee name, DOB, address and your relationship with the nominee. Submit your request. State Bank of India customers can also login to Internet Baking and register nominee online. After login, click on Request & Enquiries and then click on Online Nomination. Next screen select your Account number and continue. And finally, enter Nominee name, Date of Birth, Address and Nominee relationship with Depositor (Account holder), Now submit your request. The facility to register nomination online is available for Single operating accounts only. Please contact your home branch if you want to register nominee for a Joint operating account.